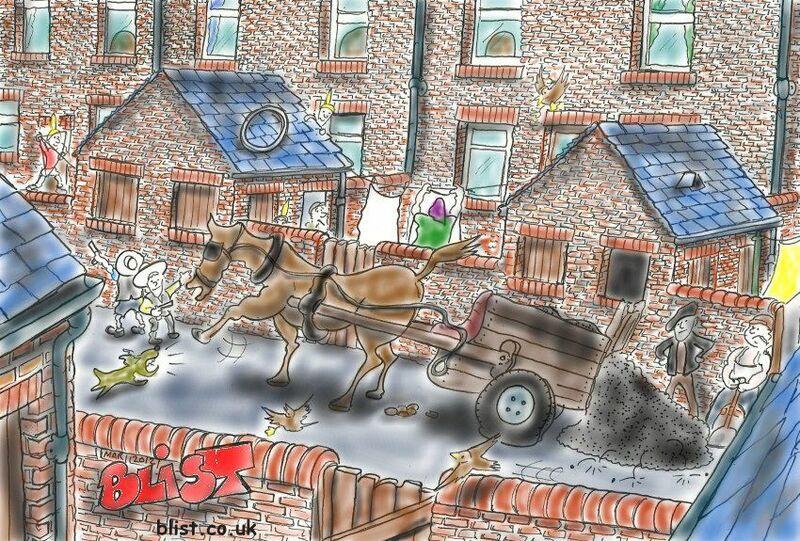 In March 2012 I got an email from Andy Cartledge who grew up in Thurcroft with a link to one his cartoons - this one a tribute to coal delivery man Tommy Walker, and horse. Andy wrote: "Tommy's horse was the first real horse I saw, other than Champion the Wonder Horse on TV! Tommy, and his horse would deliver coal, and much about any thing else to the houses of Thurcroft. Tommy, was the first person I saw wearing his trade mark black beret, when every other old man in those days, was wearing a cap. So, here's a BLIST.CO.UK tribute to Tommy and his horse." 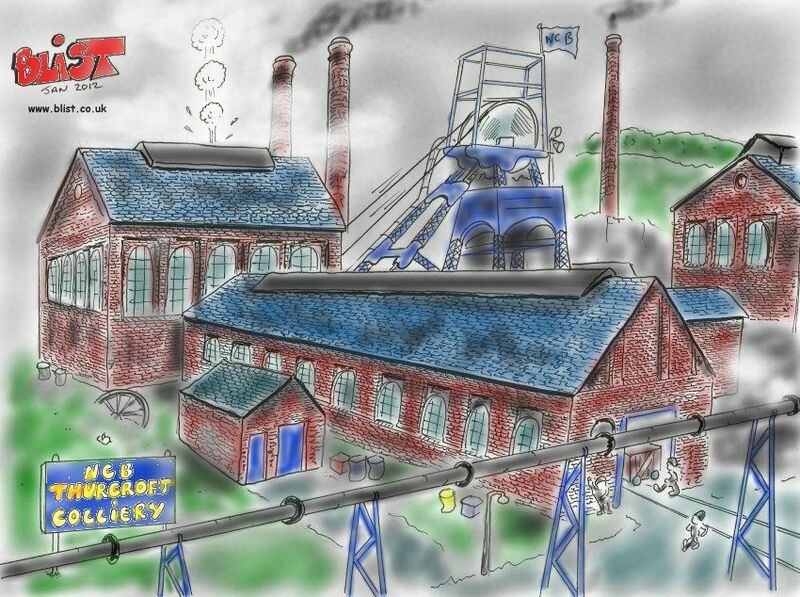 Inspired by Sheffield artist Joe Scarborough, Andy wants to do the same for Rotherham and Thurcroft. Check out the full range of Andy's work at his website BLIST.